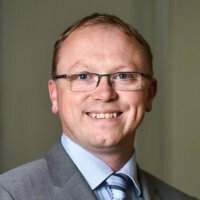 Paul is a qualified accountant and Licensed Insolvency Practitioner with 20 years' experience in dealing with both corporate and personal insolvency situations. He has particular expertise in large and complex insolvencies especially where there has been a fraud and has had many successes in recovering money for either secured or unsecured creditors. He was also responsible for the appointments in bankruptcy cases at the centre of excellence in his previous firm. The focus of his work at Begbies Traynor is on reciprocity with invoice and asset-based financiers.